Holmarc’s SILAR Coating System has been designed to automate the entire process to avoid operator fatigue and errors associated with it. 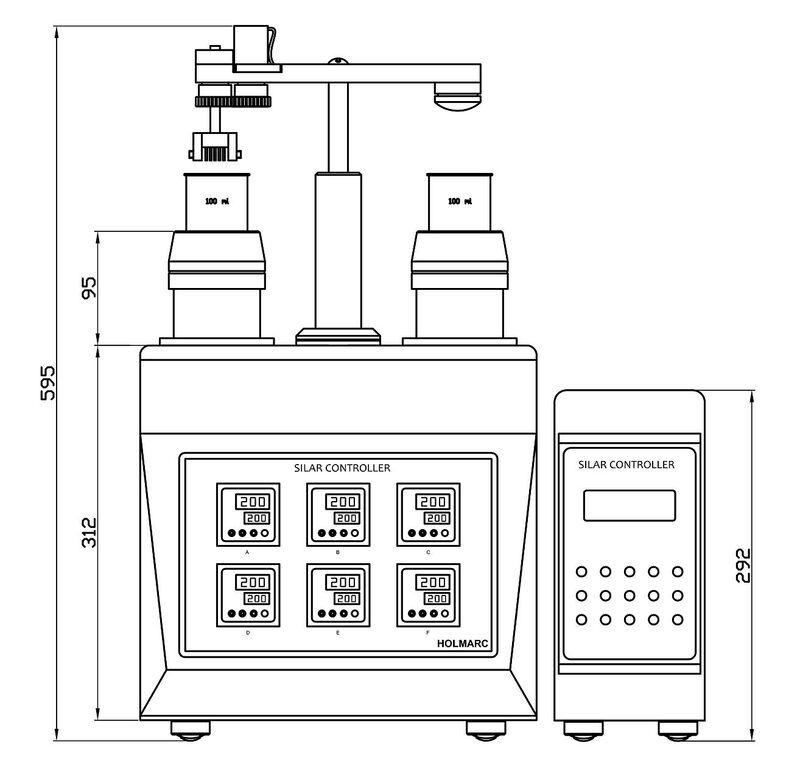 In manual SILAR process, the operator has to perform hundreds of repetitive dipping into the solution and water. It is very difficult to control dip duration and number of dips in a manual process which can last hours. 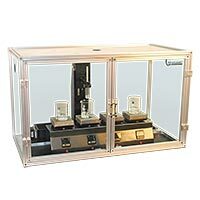 In the automated unit, the operator need just to clamp the substrate into the holder and program the controller with required dip cycles and duration. 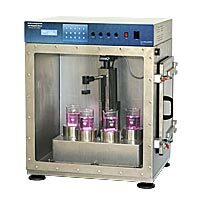 This model: HO-TH-03A has a motorized substrate holder which can be used to stir the solution. 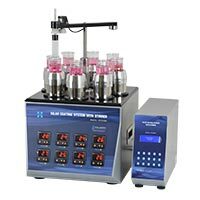 By rotating the substrate along with the holder at desired speed, the solution can be kept stirred during the dipping process. 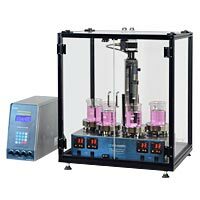 The rotation speed is programmable from 2 - 200 rpm. 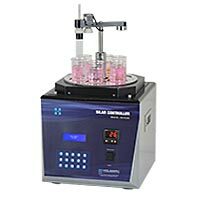 The dipping speed, dip duration, retrieval speed and dry duration can be set for each beaker. 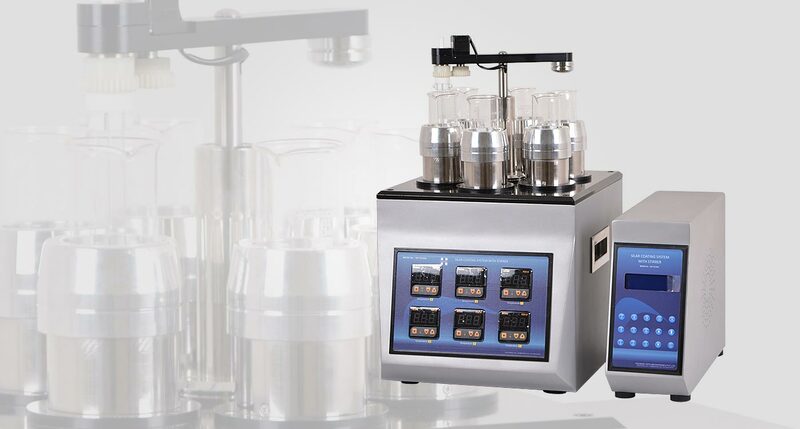 Each hot plate can be set at different temperatures. The temperature can be set up to 350°C from ambient. In this technique thin film is deposited on glass substrate following a chemical technique called successive ion layer adsorption and reaction (SILAR). 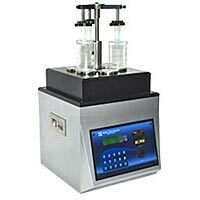 The technique involves multiple dipping of the substrate in a given solution and deionized water, temperature of both can vary from case to case. This device can be customized as per requirement. 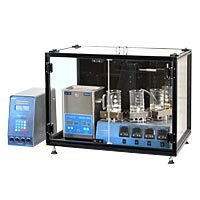 Holmarc has developed models where a controlled heater is used for keeping the solution at specified temperature.